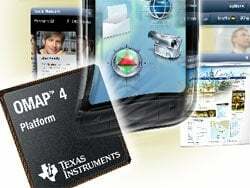 Texas Instruments announced that the OMAP4440 applications processor enhancements deliver "impressive performance improvements" beyond the OMAP4430 processor, including a 1.25x increase in graphics performance, a 30 percent decrease in webpage load time, a 2x increase in 1080p video playback performance and clock speeds as fast as 1.5 GHz per ARM Cortex-A9 MPCore. 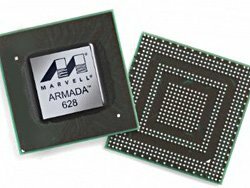 Marvell has introduced the world’s first 1.5 GHz tri-core application processor, the Marvell ARMADA 628. It incorporates a full System-on-a-Chip design (SoC) with three Marvell-designed, ARM-compliant CPU cores operating as the world’s first commercially available heterogeneous, multi-core, applications processor. Cisco has launched a mainstream data center computing platform – Unified Computing System (UCS) – that promises to seamlessly integrate processor, storage and network systems in a virtualised architecture. The move pits the networking equipment market leader against the world’s largest systems vendors, including HP, IBM, Dell, Fujitsu and others. Poor video acceleration – stuttering and frame rate drops – has been something of a blight for netbooks when it comes to playing HD video. Now Intel has confirmed that the GN40 chipset for Atom chips, when paired with the Atom N280 processor, is capable of playing 1080p video.